Finally! I’m excited to announce the route and dates for the Fellowship of the Wheel, a group bicycling trip across Mexico. We will wander, we will make new friends, we will eat new foods and maybe we’ll even learn a little about the purpose of life… at least, that’s the plan. Although this kid seems to have a head start. Photo by Jorge Organista. The whole trip will take 80 days. Most people can’t take that long off of work, so I’ve broken it down into much smaller segments. You can come along for as little as three days of riding, the whole two and a half months, or anywhere in between. You’ll get to see three Mexican states. The terrain will be wide open scrub land, and we will cross a mountain range on the third day! Starts Saturday, November 8 from Nuevo Laredo. 3 riding days totaling 205 miles. Map. This section is for experienced cyclists.. The first day will be 80 miles and then about 65 on the second and third days. This is the most intense segment of the trip. Because the border area is dangerous, we will cross it as quickly as possible and sleep in hotels at night. You should read the safety information at the end of this post. 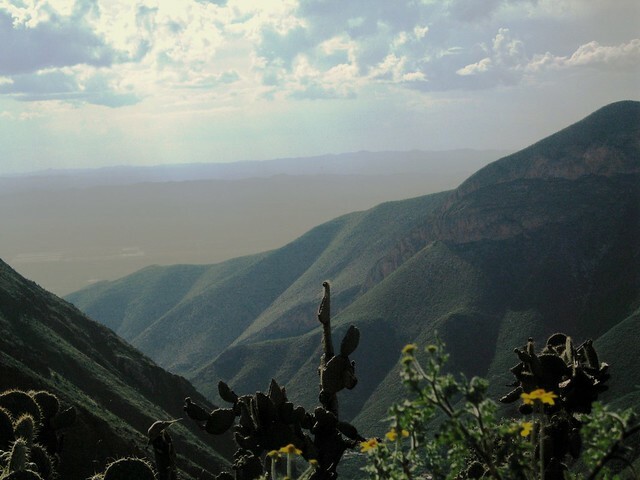 We will then take three rest days in Arteaga, a pretty town of 6,000 people on the outskirts of the major city of Saltillo. Starts November 14 in Arteaga, COAH. 4 riding days and 183 miles. Map. The first day will be an easy 25 miles. The longest one will be 64 miles, then 45 mile days after that. It is gentle, flat terrain. We will pass through some small rural towns and likely camp out in the town centers near churches. 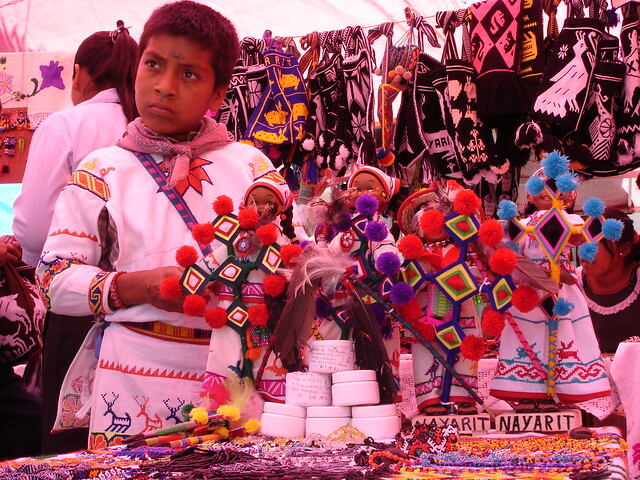 We will end in Matehuala, which is near the famous desert town of Real de Catorce known for the shamanic traditions of the Huichol natives. 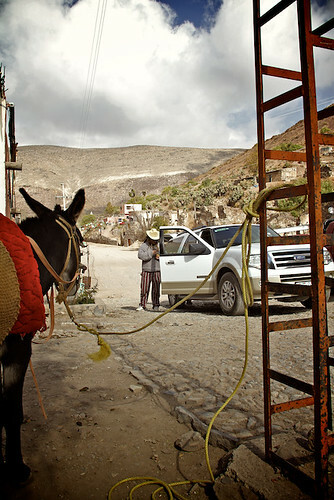 There is a bus from Matehuala to Real de Catorce which we can take during our three rest days. 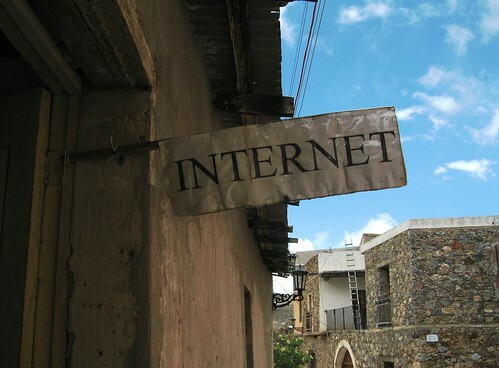 Real de Catorce has internet! I’m hoping we see this sign a lot on our trip. Photo by Michael R. Swigart. Starts November 21 in Matehuala, SLP. 138 miles in three riding days. Map. Expect to bike about 55 miles on two of the days, with a short 28 mile day in the middle. I expect to camp out in the towns along the way or use hotels, depending on what’s available in each town. That will also be the policy for much of the rest of the trip (except rest days, which will typically be hotels). We’ll then get to spend three rest days in the city of San Luis Potosí, where I can play tour guide because I used to live there! This is one of the safest cities in Mexico and has a great historic downtown. Starts November 27 from San Luis Potosí, SLP. 4 riding days and 121 miles. Map. This is a great section for beginner bicyclists. It’s all easy biking, just 25-37 miles a day. We should get some dramatic vistas in this area although the road will still be mostly flat. 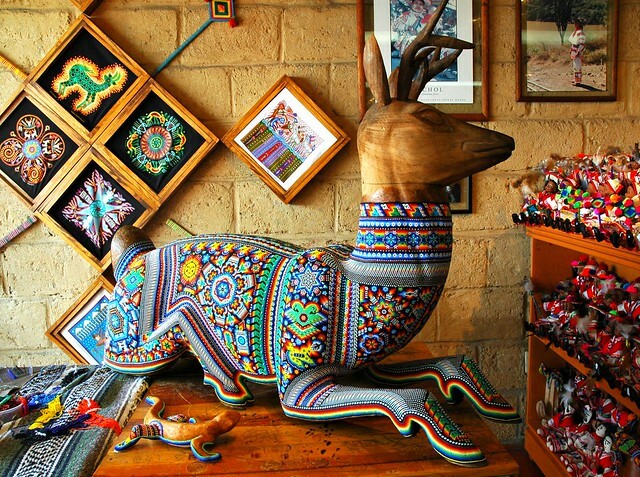 We end in the stunning town of San Miguel de Allende, one of Mexico’s most popular destinations. It’s a colonial-era town built on the wealth of its silver mines. Three rest days to explore it! Views like this! Photo by Michael R. Swigart. Starts December 4 in San Miguel de Allende, GTO. 3 riding days and 135 miles. Map. The last day is the longest one, going 58 miles. This is a generally affluent area of Mexico with a large middle class. We’ll take three rest days in Tula, a major city known for its well-preserved pyramids and colossal statues. Note: If you want to see Mexico City, you could take a bus there from Tula. It’s very close. Starts December 10 in Tula, HID. 5 riding days and 227 miles. Map. This will be the most diverse leg of the trip, going from the affluent central lowland to small rural towns to a final climb up a mountain range. We’ll end in the mountain city of Xalapa, the capital of Veracruz. There are museums and parks and we’ll have three rest days to enjoy them. Plus you really can’t have a cooler name for a city than Xalapa. Is it cheating if we use mules? Photo by Elena Marini Silvestri. Starts December 18 in Xalapa, Veracruz. Total of 6 days (5 riding days and 1 beach day) and 177 miles. Map. Mileage varies from 35 to 55 miles per day. Our last day is a mere 7 miles! We’ll start off downhill and then follow the Gulf Coast, with a stop on Midwinter at the beach town of Boca del Rio. At the end we’ll come through a forested area to a city on a magic lake. This leg ends at Catemaco, Mexico’s City of Sorcerers. I plan to take a full eight rest days there, using the time to meet some of the local magical and spiritual practitioners. And we’ll spend Christmas and New Year’s Eve here! Starts on January 1 in Catemaco, VER. 6 riding days and 209 miles. Map. Most days are less than 40 miles; there will be one 59 mile day. Most of this leg will not be in view of the Gulf, but in the forested areas about 20 miles inland. We’ll take three rest days in Villahermosa, the capital of Tabasco. This city has a lot of history and holds the world’s leading collection of Olmec artifacts. Starts January 10 in Villahermosa, TAB. 7 riding days and 259 miles. Map. Other than one 60 mile day, these are all 40 or less. You should really look at the map link on this one. Much of this segment will be on road just 100 feet from the beach, and we’ll be exploring small coastal towns including two that are literally islands. Plus for two days we’ll be biking the edge of a wildlife reserve. We’ll take three rest days in Campeche, the gateway to the Yucatán Peninsula and Mayan culture. It also has a 17th century fort built to repel pirates. Starts January 20 in Campeche, CAMP. Total of 7 days (6 riding days and 1 pyramid day). Map. This is all easy days of mostly 35-40 miles. Even the longest day is only 47. We’ll be in the heart of the Mayan empire. We will bicycle directly past the massive pyramids of Chichen-Itza and will take a day to see them. I planned this route using the advice of two native Mexicans, one of whom is a former security editor for a major news publication. I also drew on crime data from researchers at Stanford University and a variety of watch groups. These sources helped me avoid most high crime areas. Contrary to American perceptions, the violence in Mexico is concentrated along the northern border and a few other hot spots. To complete the adventure requires crossing that border area, but the rest of the trip aims to avoid major crime zones. With that said, we will do everything we can to travel smart and minimize risk. I will provide a more in-depth section on safety soon. Is there any other critical information you think I should provide? I’ve been looking for an adventure, and am really tempted by the November 27th leg of the journey, I think it sounds wonderful!